This year’s retreat was a series of firsts. 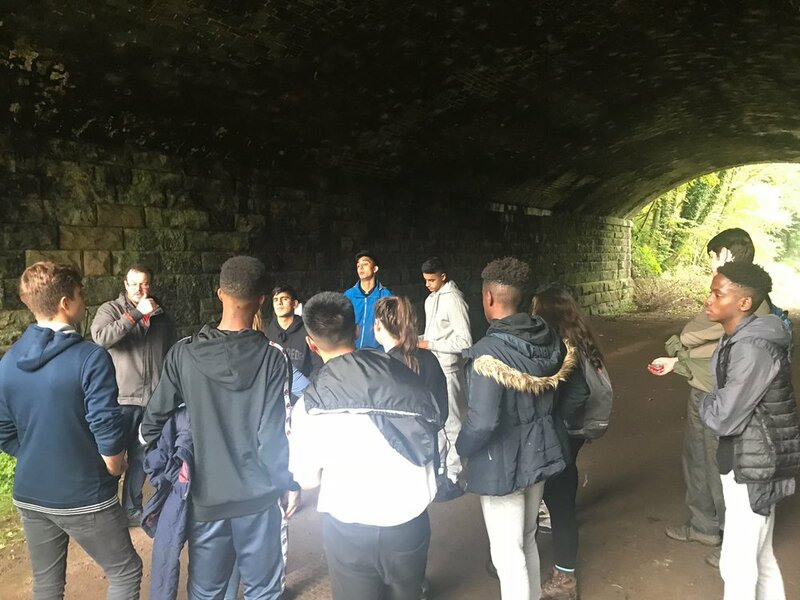 It was the first time a group had had their retreat at Soli House in Staffordshire, the first time boys and girls had gone together on a residential retreat, and the first time that a visit to Alton Towers Theme Park was part of the programme. On Wednesday 27th September, a group of year 11 students led Mr Oldcorn and Miss Proctor, were dropped off at Soli House by Mr Copley. We were greeted by Rick, Hannah, Katie and Rob – the Soli retreat team and shown around the house, which is located in Alton, a lovely country village, less than a mile from Alton Towers. Once we had eaten, and got settled in our rooms, we went for a walk, where we discussed the themes of faith, hope and charity. We stopped along the way for an ice cream and a bit of a rest. We broke into small groups to discuss faith, and think about what we want from life. On the first evening, the students completed the “Mystery Room” task. This meant that we were locked (by a total of 20 locks) in a very dimly lit room, and had to find clues to help us escape via the roof! Once we realised that we had to work as a team, we eventually got out. But not before we had a few scares! Next morning, we had breakfast at 9am. And then some group reflection time. 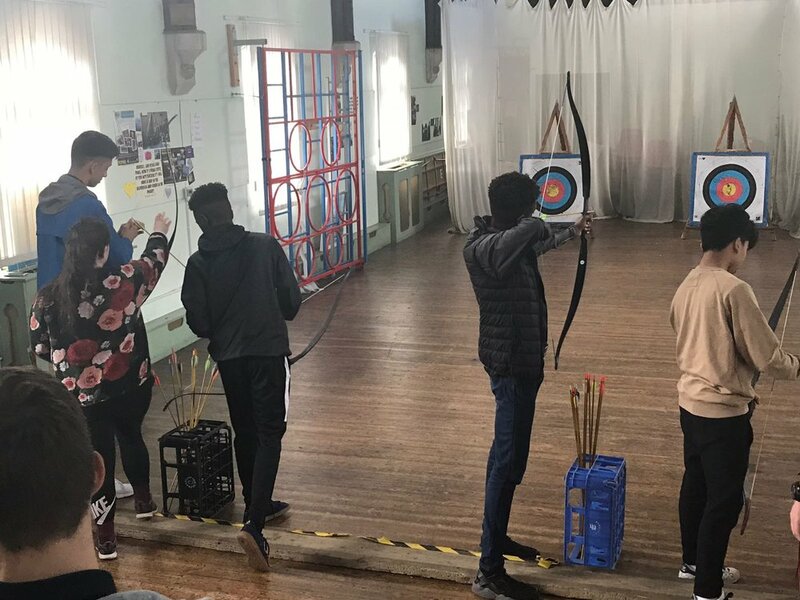 We then split into teams for archery. Some people took to this really quickly. Other didn’t. but the final competition was really close. In the afternoon we completed the “Virus 25” task. We spent a few hours working out what the Catholic Church would have to be like if everyone over the age of 25 was killed by a mystery virus. There were lots of great, and very interesting ideas about the future of our faith. Once the groups had come up with their presentations, they presented it to the other group, Fr The, and Mr Oldcorn, who commented upon their ideas. On Thursday night we celebrated mass in the Castle church, along with 60 year 5 pupils from St John Fisher’s primary school, Coventry. The church is very old and traditional, and celebrating Mass after dark was very atmospheric and prayerful. Our ‘free’ time was filed by board games, chat and music. We unearthed some real talent. Friday was all about one thing – fun! Once we had eaten breakfast and said goodbye to the team, we made the very short journey to Alton Towers. The queues were short so we filled our time there with ride after ride. We arrived back in Bradford at 630pm on Friday, having had a great time meeting new friends, and having had some quality time out for relaxation and reflection.